(Greenwood, USA) The Catfish and zucchini have a common denominator in Southern cuisine: the souls of Latino workers. Fr. Ted Dorcey noted this connection during a tour he helped lead for members of Catholic Extension, a national organization based in Chicago that provides funding and resources to Catholic faith communities in need and the Diocese of Jackson. 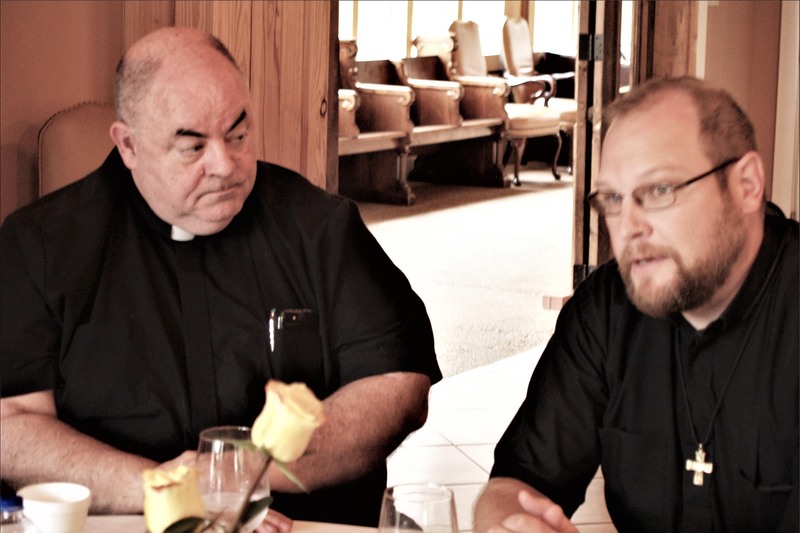 He and the three other Redemptorist confreres working with the Hispanic community in the Mississippi Delta – Fathers Scott Katzenberger, Mike McAndrew, and Kevin Zubel – hosted the visitors, who spent two days immersed in different aspects of Hispanic ministry. 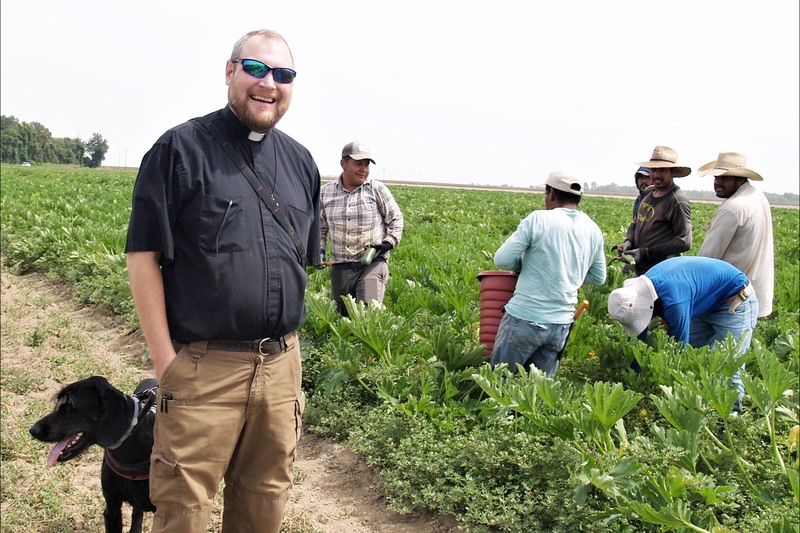 For more than four years, the Redemptorists have been ministering to Catholics in remote areas of the Delta, especially those working in industries with a schedule that might make it hard to attend Mass or receive the Sacraments. Joe Boland, vice president of Catholic Extension, explained that the organization’s mission is to finance the best efforts of the Catholic Church in the country, as well as reach out in special cases such as the Puerto Rican crisis, seminarian support and church construction in Cuba. 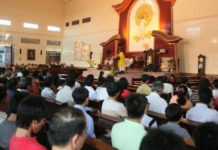 According to Timothy Muldoon, Director of Mission Education, the trip was designed to provide a glimpse of pastoral ministry that is not well known. He hopes to connect three priests from Chicago with the Delta area, where some of the African American families they serve came from a generation ago. All three – Fr. Sergio Romo from St. Andrew, Fr. Paul Seaman of St. Clement and Fr. Francis Bitterman from St. Josaphat – were impressed with the Redemptorists’ ministry. Fr. Sergio noted the great differences between his work in a metropolitan Chicago church and the Redemptorists’ ministry to parishioners scattered throughout the Mississippi Delta. According to Fran Lavelle, director of faith formation for the Diocese of Jackson, Catholics are a minority in Mississippi. The diocese serves 95 parishes and missions scattered throughout the area. 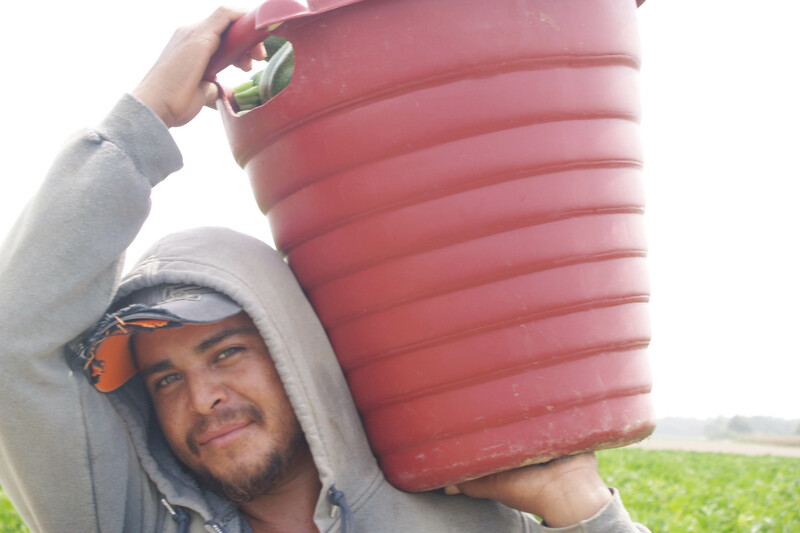 Although the Redemptorists serve many Latino families, more support is needed. Two Missionary Guadalupans of the Holy Spirit, Maria Elena Méndez and Maria Josefa García, travel constantly to support work in parishes and missions as coordinators for Hispanic Ministry in the diocese. They joined the tour, as well as Fr. Kevin Slattery, vicar general of the diocese, and Catholic Extension staff, who photographed and filmed the excursion. Fr. 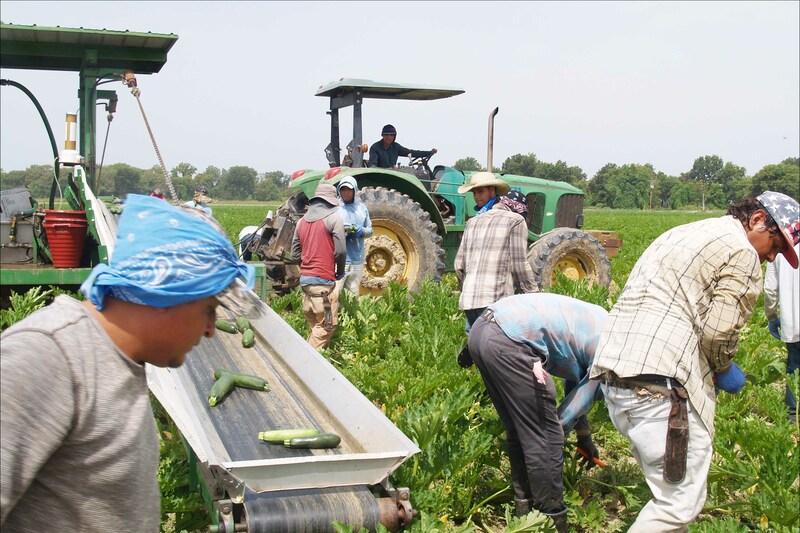 Ted arranged visits to a zucchini harvest and a catfish plant, where many seasonal Mexican workers are under the work visa program, providing the visitors with an opportunity to witness the labor conditions and motivation of young migrants and their families working in Mississippi. 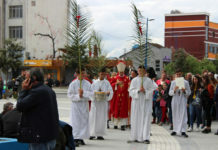 The visitors were impressed that the workers remain connected to their faith tradition, even after long hours of physical labor.